We strongly recommend to use Linux for the purposes of PHP development. Most server systems have Linux installed. If you are using Windows for your everyday tasks, you still can install Linux on a virtual machine (for example, on VirtualBox) and run Apache, PHP and MySQL on that virtual machine. If at the same time you would like to use NetBeans in Windows, you can do that - just configure a shared directory (for example, set up Samba server on your virtual machine). 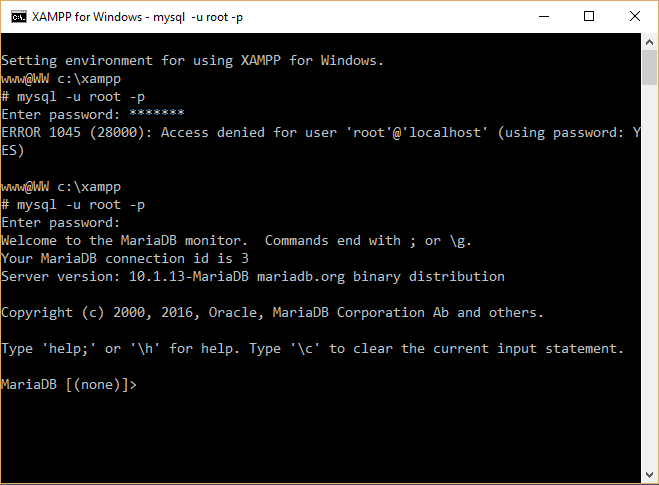 In case you strongly wish to install Apache, PHP and MySQL in Windows (which we do not recommend), here are some instructions (but note that installing those in Windows may be more difficult than in Linux). Choose one and install it on your Windows server machine. After you set up your web server, check that it is installed correctly and that your Apache server recognizes the PHP engine. To check that Apache and PHP are installed correctly, create phpinfo.php file in Apache document root directory. Open the file in your browser. The standard PHP information page should display (figure A.3). Please consult to your WAMP or XAMPP documentation for information on how to create virtual hosts. Right now, you don't need to edit virtual host file, we'll do that in chapter Zend Skeleton Application when installing the Hello World application. Now you just need to understand how to create virtual hosts. 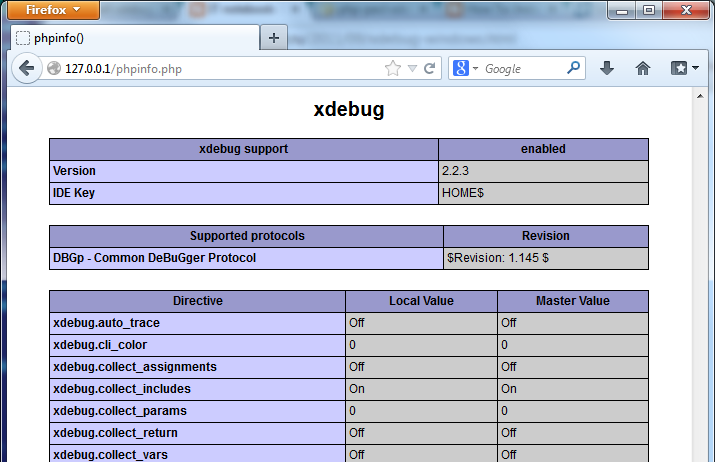 To be able to debug your web sites in NetBeans IDE, it is recommended that you install the XDebug extension of your PHP engine. Download an appropriate DLL from this site. Now we want to create a database schema and a database user. We will use MySQL Command Line Client. Consult your WAMP or XAMPP documentation on how to do that. The command above creates the user named test_user and grants the user all privileges on the test_db database schema.